ExoMars is a mission of firsts – if all goes to plan then this will be Europe’s first controlled landing on Mars, and this is the first mission of its kind to go directly in search of signs of life. However reports say it may be Thursday morning before there is confirmation as to whether the Schiaparelli lander has touched down safely on the Martian surface. Radio contact was lost during the descent. 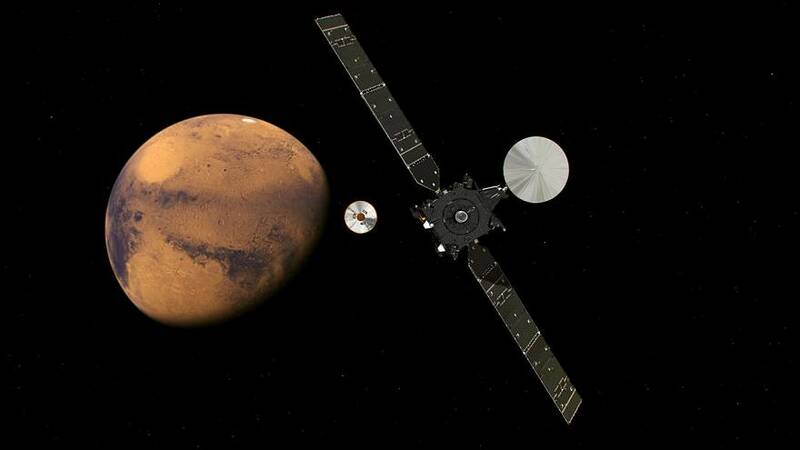 At the same time its mothership, the Trace Gas Orbiter, has successfully entered orbit around Mars. It will be able to study the planet’s atmosphere in years to come. LIVE: what happened to the Mars landing Schiaparelli probe?